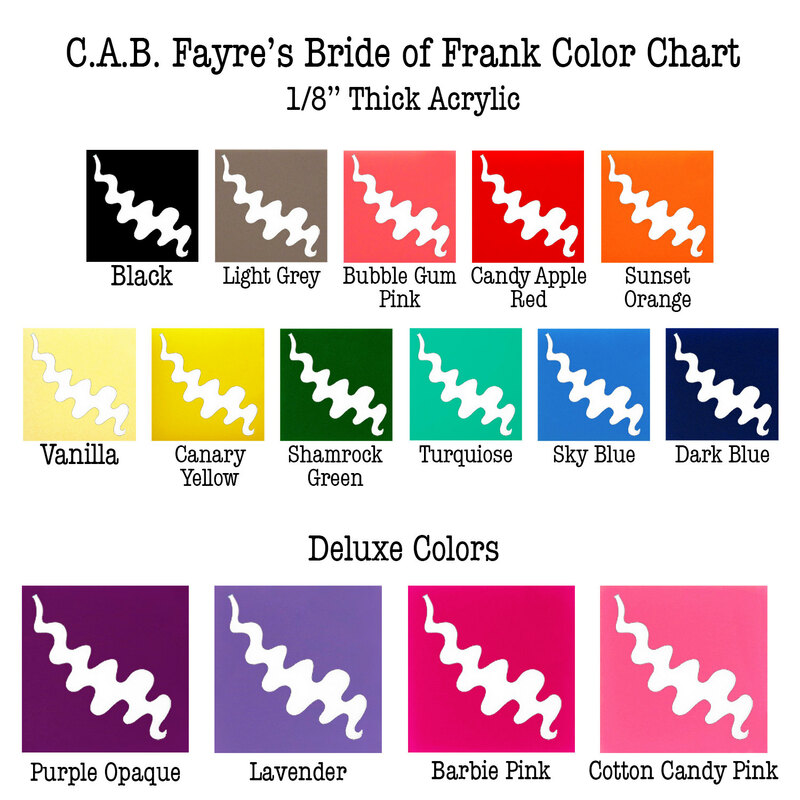 This NEW version of our lovely Bride features a white streak in her hair, she just wasn't complete without it! 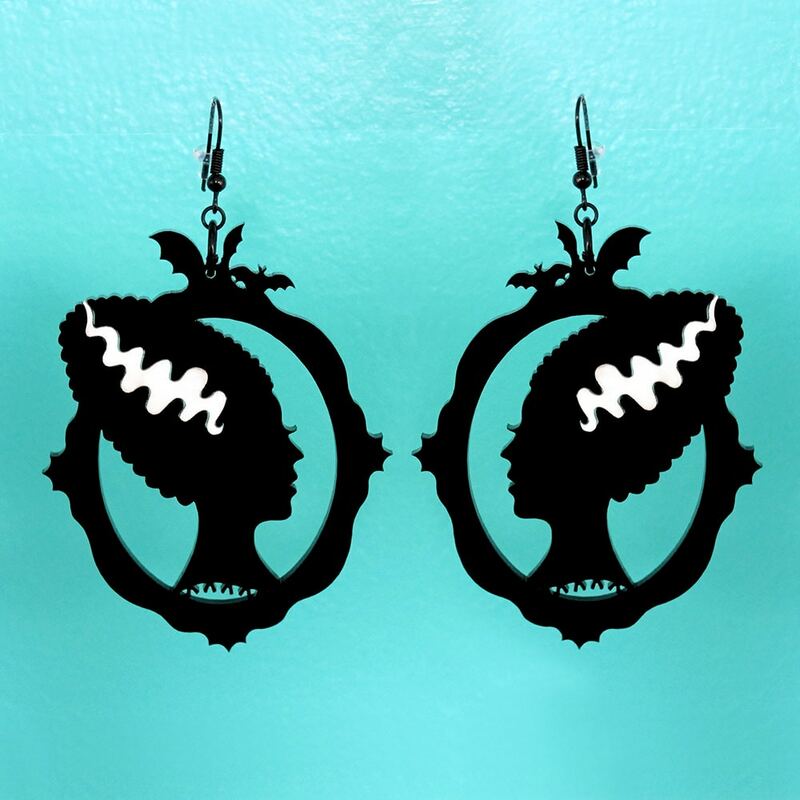 These earrings feature Bride of Frankenstein Silhouette pendants made of 1/8" thick acrylic. 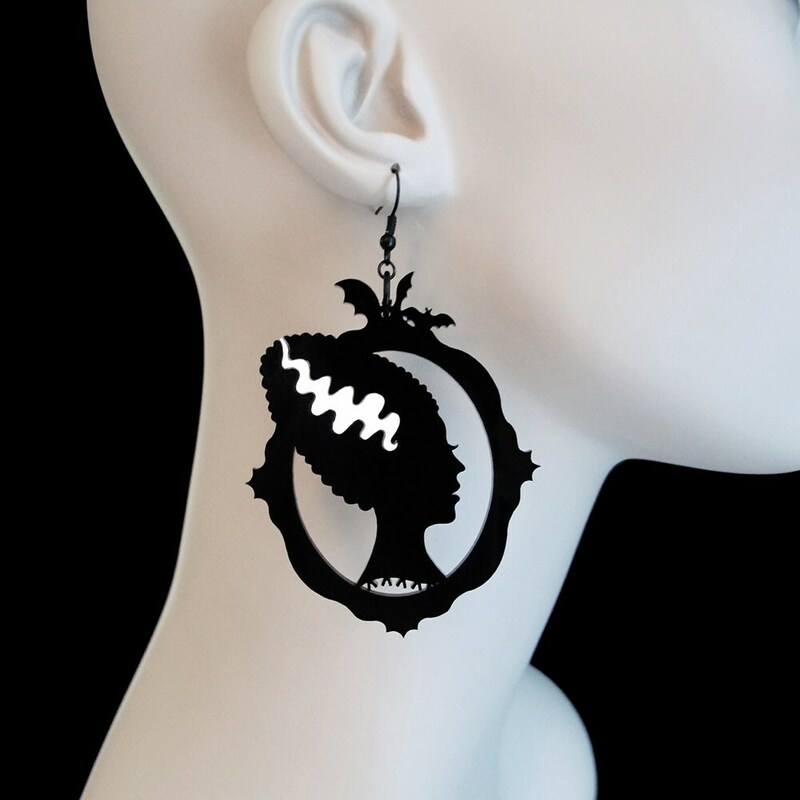 *Bride of Frank Size: 2.75"